Properties in Asheville average 4.8 out of 5 stars. Property 8: Charming Apartment 1 Minute to Everything! Property 14: Cozy apartment near trendy West Asheville and River Arts District!! Property 15: The Tree House near Downtown Asheville. Robena's Place; Just 7 miles to Biltmore House or Downtown Asheville. Property 22: Robena's Place; Just 7 miles to Biltmore House or Downtown Asheville. Property 24: The Cottage on Parkway Loop: Quiet, cozy, convenient! Solace in the City: 2 Bedroom Private Apartment. Unbeatable Location! Property 28: Solace in the City: 2 Bedroom Private Apartment. Unbeatable Location! 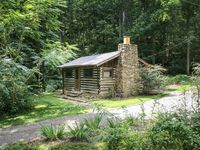 Property 34: Cozy, quiet retreat near Blue Ridge Parkway. 2 bed, 1 bath, Close to Downtown! Property 39: $99 SPECIAL, large fenced pet area,1 mile downtown! 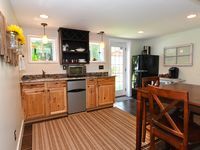 Property 45: Downtown Asheville, newly renovated! we had no problems and appreciated smooth stay. cabin is excellent, hot tub great. setting great. Enjoyed our stay. Do yourself a favor and walk into West Asheville and take in all the great beer and restaurants.